Staci is one of our Wealth Management Assistants, working collectively with Mike in preparation for account reviews and meetings. 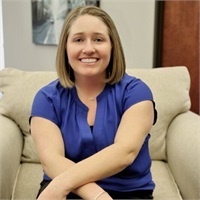 She attentively manages our back office procedures, including all paperwork, processing, and administration involved in maintaining client accounts. A graduate of Grand Valley State University, Staci earned her Bachelor’s degree in Science with a Mathematics emphasis and a minor in Elementary Education. She loves the Detroit Tigers, spending time with her family, running and is very active in the Hemophilia community.